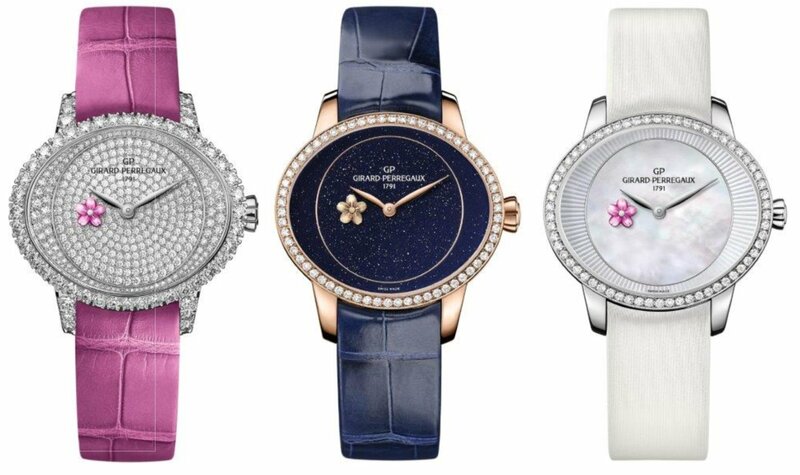 A plum blossom blooms on the dial. Slender and fragile, it appears as a small seconds hand, like a flower drawing its scent and its life from the earth. Cat’s Eye, the famous ellipse that has become the signature of the Maison’s women’s collection, appears this year attired in mother-of-pearl, aventurine and diamonds, shining more brightly than ever like pure, iridescent nocturnal lights. At its heart, the oscillating weight, a decorated bud, finely openworked by hand, reveals the invisible. White light, dark glow, changing reflections and total refraction: the new generation of Cat’s Eye Small Seconds plays with Earth’s fires. 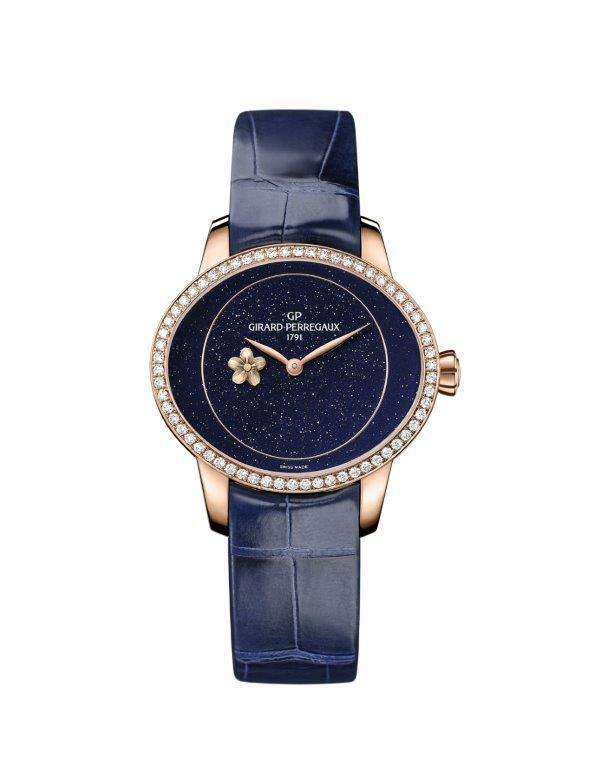 A romantic small complication, the flower used as a hand recalls the fundamental element of watchmaking. Its mechanical core is revealed beneath the recurrent back-and-forth swings of the subtly engraved oscillating weight. This floral symbolism, also gracing the crown, brings back life to the very centre of the mineral universe. Whether hard and white like diamonds, or soft and warm like pink gold, the material is a message. Diamond is the hardest material in the universe. Any light that reaches it is multiplied, like the light of the stars through a network of astronomical mirrors. The jewellery version of this creation is an explosion of light. The bezel is set with an imposing ring of diamonds that extends to the lugs and create reliefs that are a delight to caress. And in the midst of this magical scene, like a supernova, nestles a hand-engraved and painted pink mother-of-pearl flower. Just as with the Northern Lights, the interaction between light and matter creates magical effects. The iridescence of the mother-of-pearl fascinates the eye like the flutter of a stellar veil. 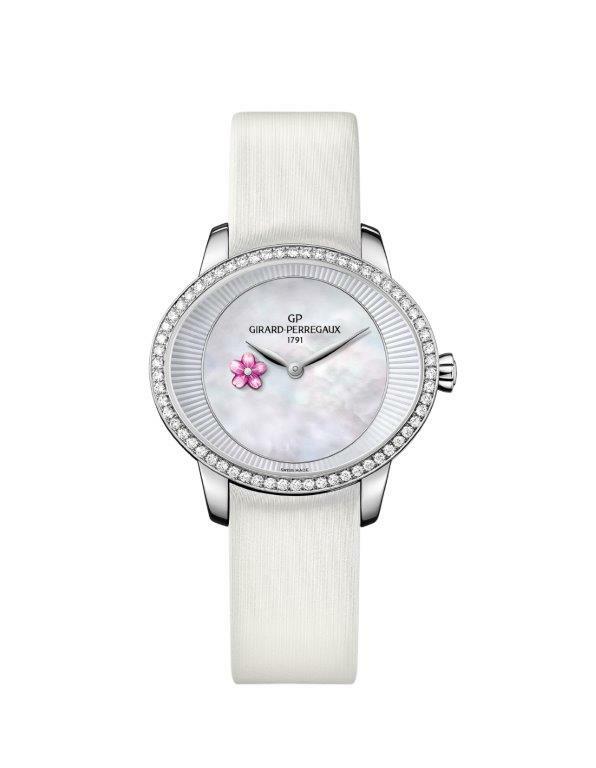 Essentially white, it adorns the oval dial of the Cat’s Eye Plum Blossom. 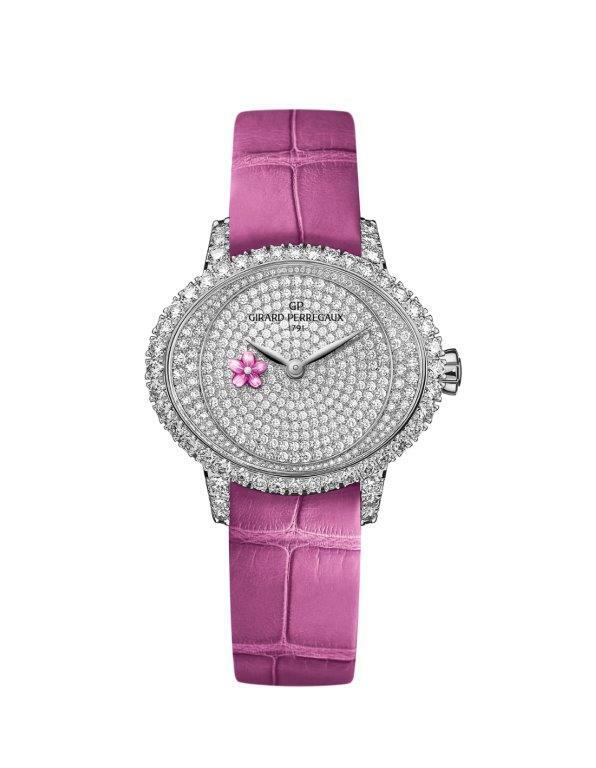 The diamond-set stainless steel case and silvery strap give it an icy cool appearance, yet green, pink or blue reflections accentuate a flash of soft light, the gleam of a flower glistening with morning dew. Just before the darkest night, an airy blue veil suffuses the sky. It is already dotted with distant stars, even though the sun has not yet completed its work. The blue aventurine dial magnifies the beauty of a bud exuding a radiant golden glow.